KFC . . . in *Yountville*?! Staying at a Napa Valley Bed and Breakfast has its advantages. Like having access to some of the best fried chicken in the world. For us, KFC means something a bit different. Read on. 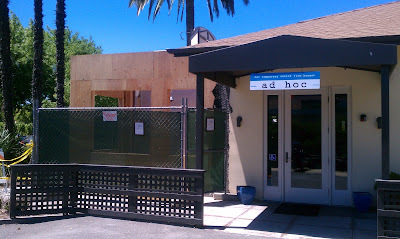 If you've stayed with us, you may have dined at Ad Hoc, Thomas Keller's amazing (and affordable, for Keller) restaurant. It's about a 15 minute drive from the Old World Inns. A four course dinner for less than $60 per person, served family style, with little pretense (but *lots* of flavor). Brined in honey and lemon overnight and lightly coated with flour and buttermilk, Ad Hoc's fried chicken has become legendary. Under Construction: Ad Hoc's new fried chicken take-out window! This past week, we noticed some unusual activity at Ad Hoc. Construction. So we asked: What's up? What we found was, in a word, unbelievable. 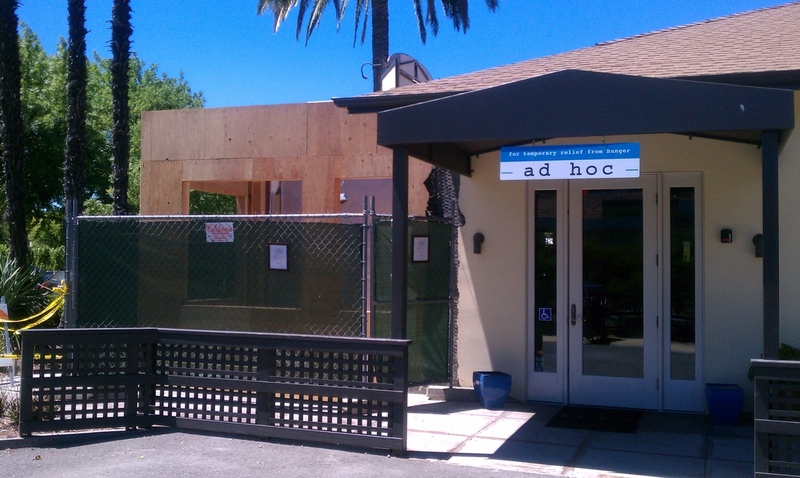 Ad Hoc is building a "take out" window! For fried chicken. And Barbeque. The take-out window will only be open during lunch-- but boy, are we looking forward to some amazing fried chicken! And Yountville finally has its own KFC: Keller Fried Chicken. 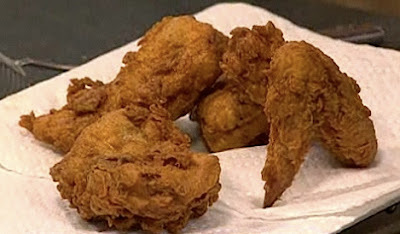 PS Want to learn how to make Ad Hoc fried chicken from Thomas Keller himself? Click here! Many thanks to the Today Show and MSNBC for all of the amazing images and video! UPDATE: Ad Hoc's Addendum is now OPEN! Hours are 11 am to 2 pm (or until they run out, which will be more likely). 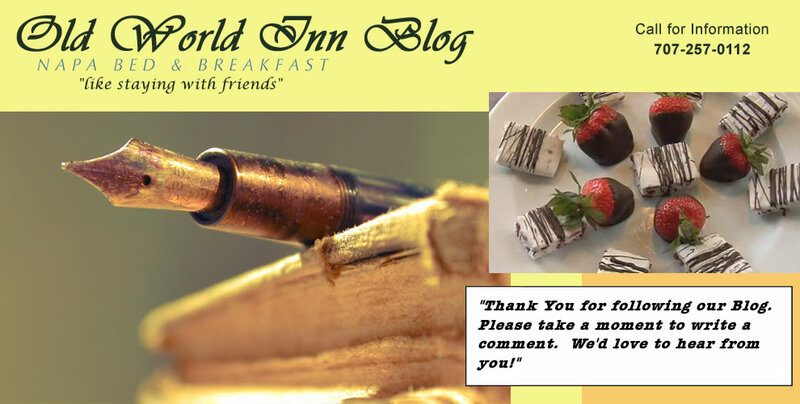 Menus and foodie photos coming soon!